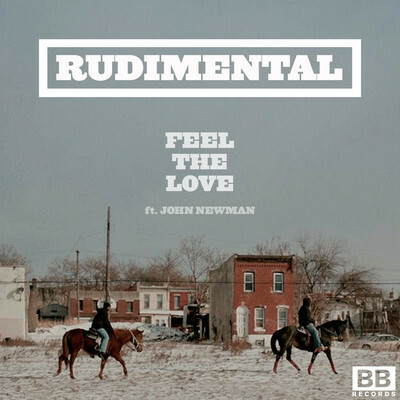 I know very little about Rudimental or the vocalist John Newman but I liked their song Feel The Love as soon as I heard it today while looking through Youtube for new music videos. Sometimes it's good knowing nothing about a singer or a band. It's that first impression impact of hearing new music without been aware of their previous music releases. It brings up back to hearing a song on the radio where you missed the DJ's intro and you just listen to the song, you are the only judge in that moment. Nowadays when that happens it is always interesting looking up their own or record label's website to discover more about them. There is something really special and uplifting about Feel the Love by Rudimental featuring John Newman. It is released on May 26th in Ireland and on the 28th in the UK.